Jody walked along the creaking halls of her ship inspecting the damage. She wasn’t sure how much time she had left but she knew it wouldn’t be long. The engines were damaged beyond repair in the crash and the acid rain in Enzor’s atmosphere was quickly eating through the hull. Jody knew her suit would offer her some protection from the acid but it wouldn’t last long. To be burned alive by rain. Jody shuddered. Ahead of her the metal of her ship had twisted and deformed before rending itself in two during the crash. 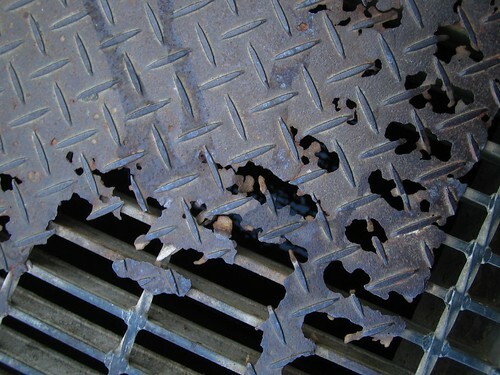 The rain fell like a haze through that gaping maw and sizzled as it ate away the metal floor below. She eyed the damage warily and used the light on her suit to make sure she was well away from the rain. I could make a run for it and try to find some caves somewhere. Jody thought. She reached out and gently touched the side of her ship, the sensors in her gloves allowing her to feel the walls as though she wasn’t wearing any gloves at all. She could feel the sensations of the ship sizzling through the walls as the acid ate away at the metal outside. Yeah, that sensor would have to be shut off if I ventured outside! Making one last sweep of the hall she headed back up towards the cockpit of the ship where the least damage was. The airlock and the environmental controls still worked there. Even still, in the center of the ceiling a rusty colored circle was starting to form over one of the dents. The roof here wouldn’t last much longer, and when it gave way there wouldn’t be many other spots on the ship to hide. Jody sat in her seat in the cockpit and unlocked her helmet, pulling it off and shaking her hair free in one movement. She yanked a metal box from under the console and unlatched the top. Inside lay a days worth of rations. The rest of her rations had been destroyed when the rust collapsed the living quarters a few days ago. Jody eyed the rusty circle above her head and noted with dread that condensation had already started to form. She decided to pack the rest of the rations in the pockets on her pants leg just in case. She tore open the last ration pack with her teeth and hastily ate the ration bar. No sense in good food going to waste. Another ominous groan from the ship around her was joined by the airlock failure and the hull breach alarm. Crud! Jody hissed between her teeth as she hurried to lock her helmet back on her head. Jody backed away as the acid droplets fell from the ceiling with a sizzle. A pinging sound on the console told her that her buoy had been received. Click the A to join the fun! Today's post was inspired by the letter A. 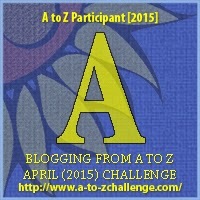 A is for: Acid as part of the Blogging from A to Z April 2015 challenge! Click on the letter to join on in the fun! For Readers: Would you make a run for it and try to find better shelter or try to wait it out on the ship like Jody? http://www.birdcagefreelance.com/ But they didn't have their challenge up yet- looks like an interesting blog though. Stop by and leave them a word of encouragement... posting every day can be a big challenge! Very nice start for a story. If this was the beginning of a novel or short story I would keep reading. I love Science Fiction, and enjoy writing flash fiction, too! Thanks for the fun story... 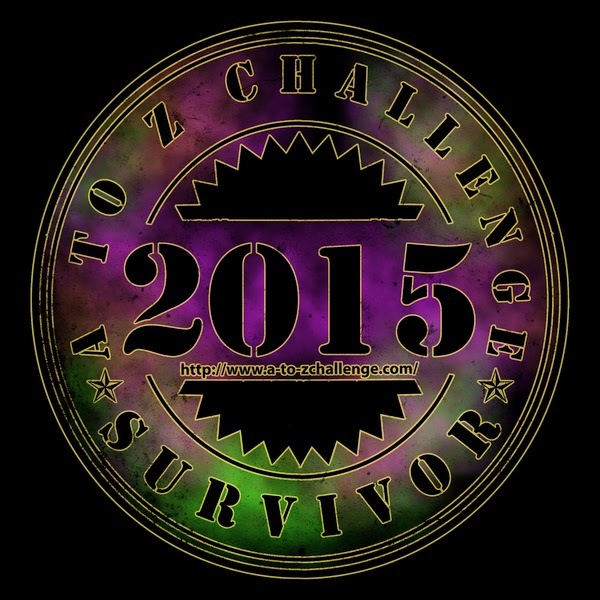 I was glad to discover your blog through the A to Z Challenge today! Thanks John! I'm glad you stopped by! Great start to the tour.